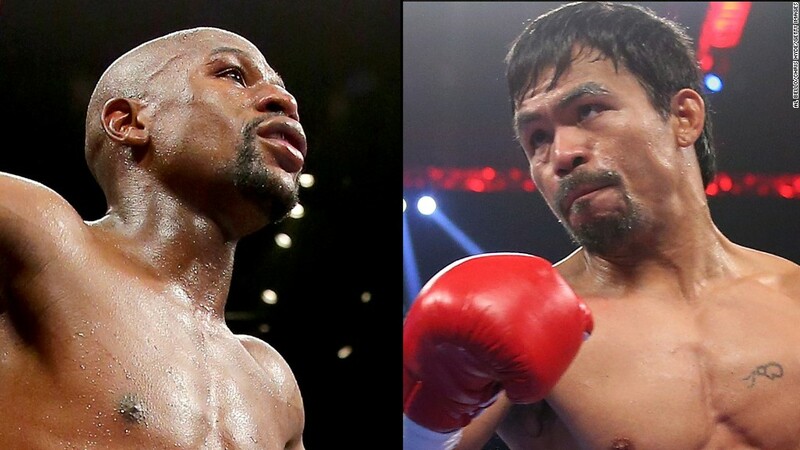 Mayweather-Pacquiao tickets on sale Thursday. Do you have $1,500? Mayweather-Pacquiao tickets on sale. Do you have $1,500? Tickets to the Mayweather-Pacquiao fight went on sale Thursday, but they're priced for financial heavyweights. Face value of the tickets for the May 2 bout at the MGM Grand in Las Vegas are priced at $7,500, $5,000, $3,500, $2,500 and $1,500. Don't even think about getting a ringside seat without a $250,000 line of credit with the casino. Tickets went on sale at 3 p.m. ET on Ticketmaster.com, but they were tough to get. You'll have more luck on the secondary market, but the prices are a lot higher. Price tracker SeatGeek says the median price of tickets sold so far online has been $10,500, with sales ranging from $4,650 to $17,850. There are floor seats listed for $50,000, while cheapest ticket on the secondary market is about $5,000. Those lofty prices will make the fight the most expensive sports ticket ever. By comparison, fans paid a median price of $3,290 on the secondary market to see the New England Patriots defeat the Seattle Seahawks in February's Super Bowl. But lots of people headed to Vegas for the fight won't be able to set foot inside the 17,000-seat arena at the MGM Grand. So the casino is also selling $150 tickets to watch the fight on closed circuit at any of the MGM properties in Las Vegas. For viewers at home, the pay-per-view will cost a record $99.99 for an HD broadcast. That should to make the fight the biggest payday ever in sports, with Mayweather expected to earn $120 million while Pacquiao gets $80 million, no matter the fight's outcome. "We've never seen anything like this in boxing, and I don't think in any sporting event," said Bob Arum, Pacquiao's promoter. Arum isn't worried that the steep prices would keep fans away. "The 1% has so much money, they don't know how to spend it. Whether it's yachts, paintings or tickets to a fight, money means nothing," he said. Tickets are finally going on sale after contentious contract negotiations for the fight, said Arum. The contract still needs final signatures, he said. It's uncommon for tickets to go on sale so close to the fight date. "Usually everything is signed and sealed months before," Arum told CNN. There was a disagreement about how many tickets each fighter would get, Arum said. Pacquiao has 800 or 900 friends and family from the Philippines who want to get in.